Completing this course will get you a laymen rescuer level First Aid CPR AED card. People who take this course are usually taking it for OSHA, Coast Guard, DOE, personal fitness trainer requirements, most home care facilities, state jobs etc. If the piece of paper they gave you said “Go take a First Aid CPR AED class,” than this is it! This particular CPR & First Aid AED course is taught entirely by a human, using human talent, human ability to teach, while utilizing approved audio visuals and teaching materials. Nothing to do online. All parts of the course is done in our Training Center. You walk out with a AHA Heartsaver First Aid CPR AED card (AHA Product # 15-3002) upon passing all the requirements and tests. Adult, Child, Infant CPR, First Aid and how to use and AED. Required AHA First Aid CPR AED Text Book (AHA Product # 15-3117) is included with your course. American Heart Association Heartsaver First Aid CPR AED card (AHA Product # 15-3002) issued upon finishing this course and passing the requirements – Right after you are done!. Card is good for two years. 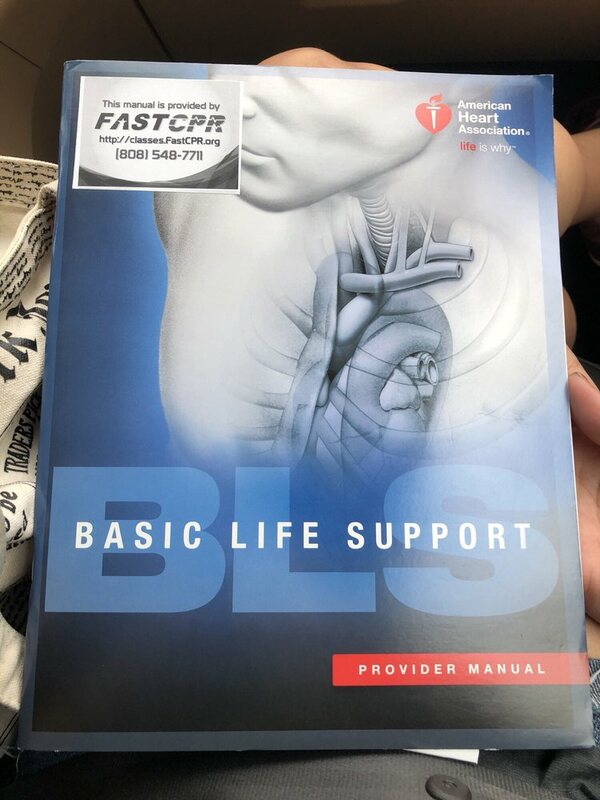 Fast CPR Training Center™ in Honolulu has Healthcare Provider BLS Classes, First Aid CPR AED Classes, Allied Health Career Courses, Skills Training Courses for Job Preparedness to help you with your employment needs and career prospects in Hawaii conveniently, effectively and efficiently.